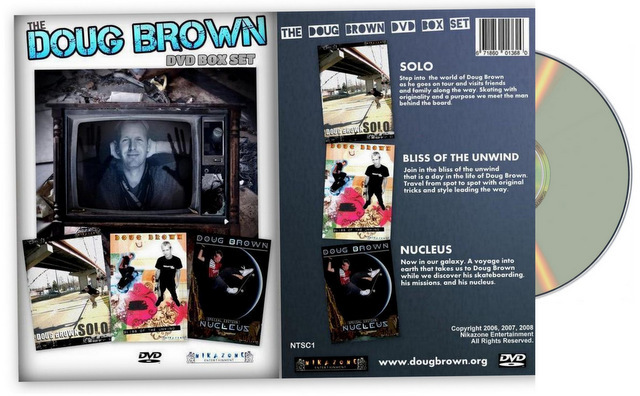 Step into the world of Doug Brown's first DVD as he goes on tour and visits friends and family along the way. Skating with originality and a purpose we meet the man behind the board. Join in the bliss of the unwind that is a day in the life of Doug Brown. This follow up DVD to Solo has you traveling from spot to spot with Doug's original tricks and style leading the way. 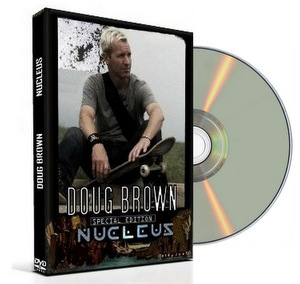 The newest DVD Nucleus is now available in our Galaxy. A voyage into earth that takes us to Doug Brown while we discover his skateboarding, his missions, and his nucleus.